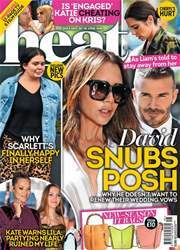 In this week's heat – Gemma Collins confesses she hates being a size 22. Kendall and Harry split – boo! Joey and Sam reunite – hooray! Plus, The Big Reunion's Dane Bowers spills the beans on Jordan and Posh!